It is no secret that music affects the brain in particular ways that other types of learning do not and cannot. How can we seek to engage all of our mind with a proper understanding of musical studies—not as enrichment or extracurricular, but as an integrated part of knowledge and educational disciplines? 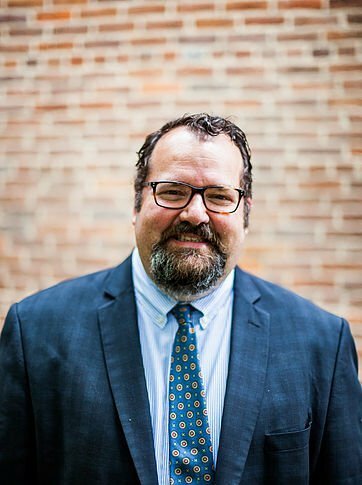 Gregory Wilbur is Chief Musician at Cornerstone Presbyterian Church in Franklin, TN, as well as Dean and Senior Fellow of New College Franklin—a Christian liberal arts college that he helped to start. During the past twenty years he has taught at classical schools and co-ops, developed curriculum, served on school boards and written and talked on issues pertaining to education. He enjoys discipling students and walking them through classics of literature, film, and music. He earned his Masters in Music Composition at the University of Alabama. He is the author of Glory and Honor: The Music and Artistic Legacy of Johann Sebastian Bach and has released two CDs of his compositions of congregational psalms, hymns and service music. In addition, he writes for choir, orchestra, film and chamber ensembles. His wife, Sophia, home schools their daughter, Eleanor, and they all enjoy reading, cooking, taking walks and enjoying life in middle Tennessee.